The Veteran eMentor Program leverages the internet to create a dynamic information sharing, learning and support community that extends far beyond the veteran’s current network. We welcome protégés who served in the Armed Forces and are now seeking civilian employment or assistance with any aspect of the transition to civilian life. Protégés can receive personalized career guidance, advice, support and inspiration from more experienced veterans, career mentors and veteran-friendly employers. We also invite mentors, with or without military experience, to join and assist protégés with their job search and other career challenges. The Military Spouse eMentor Program welcomes mentors and protégés who are spouses or widow/ers of military members and veterans. 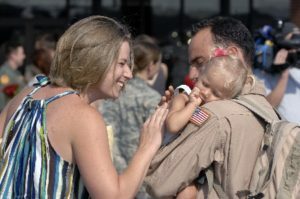 We also invite representatives of military spouse-friendly firms to serve as corporate mentors to assist protégés seeking employment or with other career issues. The program puts military spouses in virtual touch with more experienced spouses and corporate and career mentors for guidance and support with challenges of all kinds and for assistance with finding meaningful, portable employment with longevity and upward mobility. 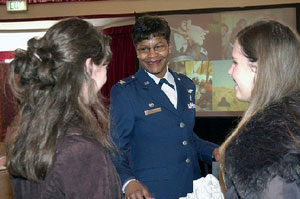 The MilitaryWomen eMentor Program is open to ALL current and former military women. This program ensures that women who have gone through military training have the opportunity to benefit from a mentor who shares this common history. The CadetMidnWomen eMentor Program is open to all women officers, officer veterans and officers-in-training in all the services: U.S. Army, Navy, Air Force, Marine Corps, Coast Guard and Merchant Marines. 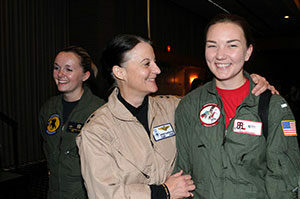 This program was established so that future women officers could be mentored by women officers or veterans who share the common bond of a military commission. The eMentor Program would be nothing without its dedicated volunteer mentors. Mentors, with or without military experience, can volunteer in the MilitarySpouse and Veteran eMentor communities to assist protégés with their career and employment-related goals. We encourage you to join on your own, or recruit a group of volunteer mentors from your work place, an affinity group, or a social group you enjoy. You don’t have to be an HR expert or work at a Fortune 500 company to volunteer as a mentor. If you’ve been hired, have hired others, or have started your own business, you can be a mentor to our Veteran and MilitarySpouse protégés. This unique group of current and former military community members include military professionals looking for the next career and spouses who are graduates, lawyers, nurses, entrepreneurs, artists, teachers, marketing professionals, etc. 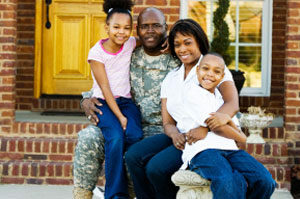 looking to start or advance their careers even as they move around the country with the military. Volunteer to mentor one of these special individuals today. eMentor staff will happily speak with you about how we can facilitate a smooth experience for a group of mentors. Contact us today to start the conversation. If you are not interested in volunteering as a mentor, but still would like to volunteer with eMentor, please contact us and let us know or ask us how you can help. For information on other ways to sponsor or partner with an eMentor program, please contact Erica Hartless, eMentor Leadership Director. We are a 501(c)3 charitable organization (#42-1697594).